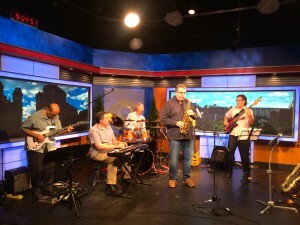 Fulton Jazz Fest Aug. 7-8 Returns With Headliners Joe Magnarelli/Akiko Tsuruga, Features E.S.P. & Melissa Gardiner, Nancy Kelly, Classified & More! Syracuse native and jazz trumpeter Joe Magnarelli, with his wife, Akiko Tsuruga “Queen of the Organ,” headline the 2015 Fulton Jazz Fest, 5-11:30 p.m. on Aug. 7 and 4 – 11 p.m. Aug. 8, it was announced by co-chairs Joe Cortini and Bill Hubel. The event is on the shores of Lake Neahtahwanta, behind the Fulton War Memorial on Route 3 and admission is free. The festival kicks off this year with Happy Hour from 5-6:00 pm on Friday, when vocalist Nancy Kelly will take the Fulton Savings Bank stage. Kelly has been a prominent figure in the success of the event, performing at two past Fulton Jazz fests. The fun continues on Saturday at 4:00 with E.S.P. featuring Melissa Gardiner, “Rising Star of Trombone.” According to their website, “E.S.P. gives yesterday’s bebop a tasteful modern touch by blending their traditional jazz roots with great improvisation.” Gardiner, featured in the Feb. 2015 issue of International Musician, is a jazz trombone instructor at Cornell and Syracuse University. She performs regularly with her jazz organ trio and has released the album, Transitions. Joe Magnarelli and Akiko Tsuruga will follow E.S.P. at 6:00. Rounding out the evening will be a performance by the mass brass of Atlas, a Fulton Jazz Fest favorite, from 8:00-11pm. Melissa Gardiner, “Rising Star of the Trombone” will perform with E.S.P. Headliner Joe Magnarelli, (a.k.a. “Mags”), has built a huge body of work as both a leader and a sideman with some of the world’s greatest bands. According to his website, (joemagnarelli.com), he toured and recorded with Lionel Hampton, Jack McDuff, Toshiko Akioshi, the Glenn Miller Orchestra, Harry Connick Jr., John Pizzarelli, Aretha Franklin, Rosemary Clooney, Joe Williams, Michael Feinstein, The Carnegie Hall and Lincoln Center orchestras, and many more. He has nine records out as a leader, and in 1990, he was a semifinalist at the Thelonious Monk International Trumpet Competition in Washington, DC. He is currently an adjunct professor of music at the Julliard School of Music and Rutgers University. The Longwood Jazz Project returns this year, as well as Classified and Atlas. 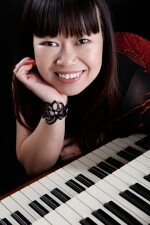 Akiko Tsuruga, according to akikotsuruga.com, began playing the organ at age three and is a graduate of Japan’s Osaka College of Music. Lou Donaldson proclaimed her “Queen of the Organ.” She established herself in the NYC mecca of jazz since she arrived there in 2001 and has played regularly with Donaldson’s quartet in both the U.S. and Europe. She has headlined at the Blue Note, Smalls, the Green Mill in Chicago, Yoshi’s in Oakland CA, and Pine Grill Reunion in Buffalo. She has released five albums in Japan in ad four in the U.S. Both of her first two U.S. releases, “Sweet and Funky,” and “Oriental Express,” have ranked within the top 20 on national jazz radio charts. Upon releasing her new album, “Commencement,” she changed her name to simply AKIKO. Gates open at 4 p.m. and admission is free, made possible through sponsorship from local businesses, including Stage Sponsor Fulton Savings Bank and major sponsors Chirello Advertising, Davis-Standard, Mimi’s Drive-In, Oswego Health, SUNY Oswego/SBDC, Community Bank and PathFinder Bank. The festival has also received promotional support from the Greater Oswego-Fulton Chamber of Commerce and the Oswego County Dept. of Tourism. Additional sponsors include: Huhtamaki, Key Bank, Foster Funeral Home, Fulton Music Association, Eastern Shore Associates, Fulton Community Development, Burritt Motors, Price Chopper, Riccelli Northern, Pinnacle Dental Group, PC, DK Manufacturing, Fulton Sunrise Rotary, Critical-Vac Filtration Corp., Longley Bros., Inc., Oswego Valley Insurance Agencies, Sorbello & Sons, Inc., Ellen Ladd, EA, Tax & Financial Services, Canalview Travel Service, Inc., Oswego County Ambulance & Hearse Service, Inc., Realty USA-Linda Caster, Sandy Farrands & Sue Fiorini, Staff of Oswego Heritage FCU, Hudson’s Dairy, Fulton Medicine Place, and Universal Metal Works. A variety of refreshments will be sold, and beer and wine is available to purchase with valid ID at the Blue Moon Grill stand, as well as Blue Moon’s New Orleans Cajun Cuisine.